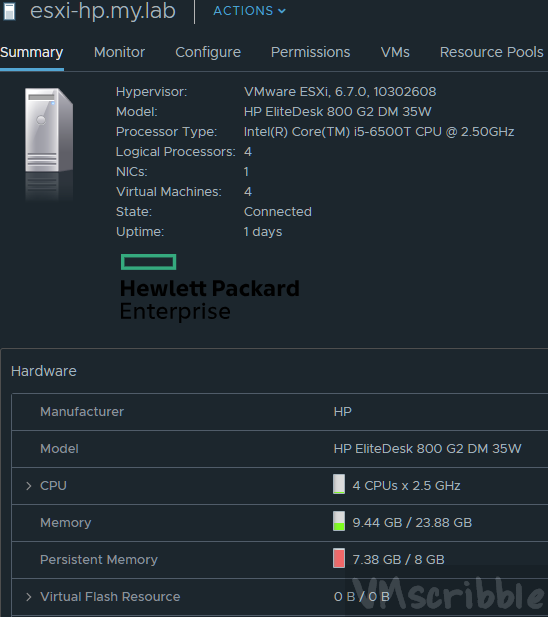 I wanted to test out vNVDIMM Virtual Persistent Memory (vPEM) and Virtual Persistent Memory Disk (vPMEMDisk) in my home lab using home SSD testing apps vs the real enterprise hardware benchmarks below. Added NVME controller and a 15GB Thin Disk drive on the PM961 NVMe datastore. Default NTFS format. Added a new 6GB hard disk choosing the Host-local PMem Default Storage Policy and NVMe Controller. Powered on. Default NTFS format. Remove the 6GB vPMEMDisk. Clicked OK. Edited the VM again. Added new NVDIMM device at 6GB.